Douglas Smith published "Beer Garden & Patio" on January 19, 2018 and was last modified on January 19, 2018 . What makes the Flight Deck unique? Spend a sunny afternoon on the patio with a cold beer and some amazing food and you’ll quickly know. 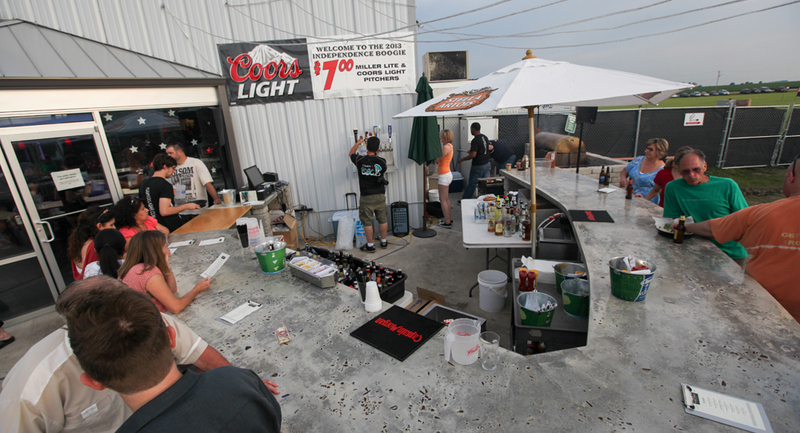 The Flight Deck Patio overlooks runway 07/25 at the Rochelle Municipal Airport and CSC’s parachute landing area. The view is simply amazing. We’ve got a beautiful regulation sand volleyball court with lights to play late into the night. We often host live music in the courtyard or you can just enjoy a cocktail around the legendary CSC bonfire pit. Looking to have memorable meal on the patio? Book it now!